This entry was posted in Backcountry Gear Reviews, Climbing Gear Reviews and tagged Belay device, climbing, gear review, Mammut Smart Alpine, mediocre mountaineering, review by Kai. Bookmark the permalink. Are you by any chance in Utah? I saw your comments about the Canon FD 80-200mm F4L and have been trying to get one or at least test one against my 200mm F2.8 to see what I will get by upgrading. does one normally leave the hand below the handle feeding rope through tube device style, except when the leader is rapidly pulling slack to clip? Basically akin to how one uses a gri gri? Likewise when you take in slack do you use the shuffle mode shown in the manual, or is it more tube style BUS method both hands below the device pulling slack through. The shuffle style doesn’t seem completely safe to me and is not something I’ve ever seen advocated as being safe with other locking devices, I was surprised to see it in the manual. 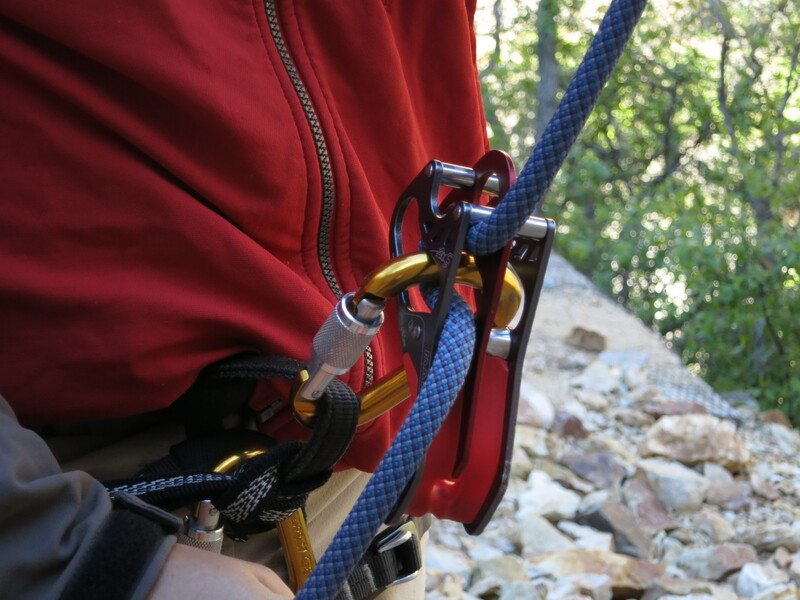 I was dropped lead climbing on Sunday by a good friend using the mammut smart alpine. Good thing it was at the gym with great pads. Or my back would be broken. Funny thing is her friend using the same device dropped her on a lead fall. They both were lead to belive that it’s a hands off device it the event of a lead fall. Not the case. This device has an assisted locking feature. Your hand can NOT leave the device during a lead fall. I wonder what they do with their hands while not holding on to the rope… There are no hands-free belay devices on the market.